The first issue of Rock Scene came out in March, 1973. To celebrate the legendary magazine, I will post complete issues on the anniversary month of their original publication dates. There will be vintage video clips as well as new interviews with the artists discussing their humble beginnings and their own personal rock scenes. You can also go to Rock Scene Auctions to buy and/or bid on classic photos that captured the early days of rock. 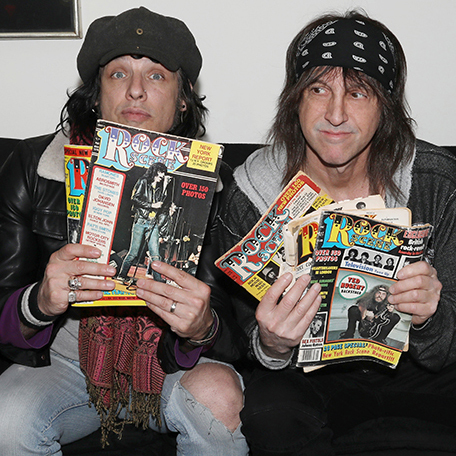 I had just entered my teens when the first issue of Rock Scene came out. My older brother was in a cover band and would always have albums and magazines lying around the house. One day I saw a new mag scattered amongst them. On the cover was a big photo of David Bowie from his Ziggy Stardust era. Above his head was the bold, now iconic Rock Scene logo. I opened the magazine and started digging in, reading about the bands and being mesmerized by the photographs. It was the beginning of rock ‘n’ roll for me. I wasn’t much of a reader, but I was drawn to this newfound culture I knew nothing about. Around the same time I got my first camera, and I began dreaming about what it would be like to take photos of this new emerging scene. Soon after, I went to see Elton John at Madison Square Garden and I snuck my camera in to take some photos. I would do this a lot in the next few years, honing my craft along the way. In 1978, I got my first photograph published in Circus. By the beginning of the new decade I had a photo spread in Rock Scene.